Do you think all hot dogs are for eating? Stop: don’t eat Hal! This little sausage dog is far too cute to snack on. Hal loves to wrap himself in his trusty yellow blanket, even if the sun’s out. His friends say he looks like a hot dog with mustard. But Hal doesn’t care – he feels great! (Even if he’s a bit warm.) From the beach to the zoo, wherever Hal goes, his blanket goes too. It’s just too bad that the other dogs snigger. 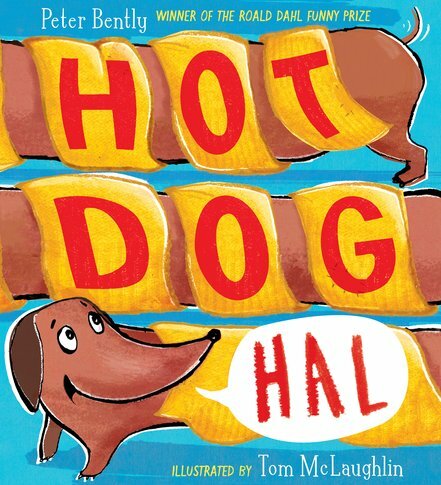 But when a thunderstorm strikes, Hot Dog Hal has the last laugh!